Taking the lead from Nicholas Thomas’ new book “The return of curiosity. 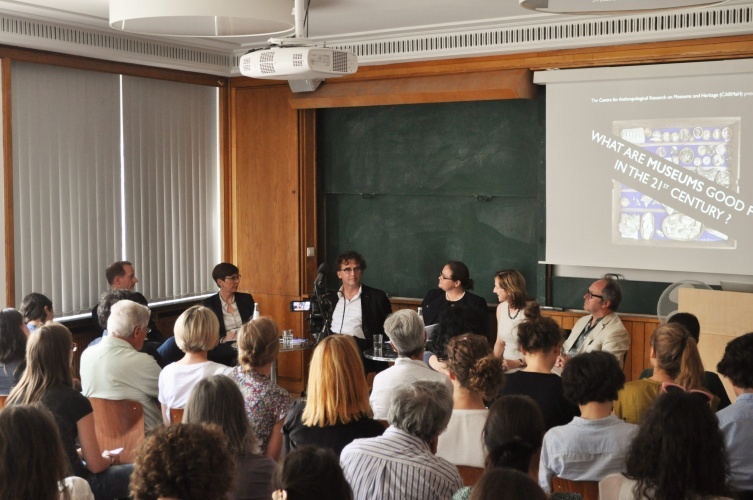 What museums are good for in the 21st century,” CARMaH invited some of Berlin’s most prominent curators and museum directors to discuss Thomas’ book in particular and the function and value of museums today more broadly. 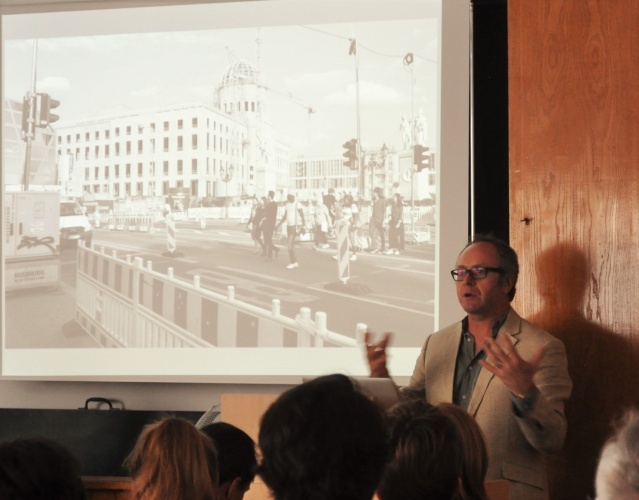 As Thomas explained to a crowded and attentive audience, his forthcoming book seeks to tackle the following conundrum: On the one hand, scholars of museum studies have critiqued anthropological and archeological museums for being outdated, reaffirming and reiterating colonial and classist historical narratives in their exhibition curation and design. In this sense, museums seem outdated. On the other hand, numbers of museum visitors have never been higher than today. New museums are built and existing museums are expanding, investing in innovative infrastructure and exhibition formats. What then makes people go to the museum? Thomas argued that museums function as places for collaboration and collective exploration; they promote a sense of community in the shared process of acquiring knowledge. As spaces in which one can participate in public life, museums foster civil society. Relatedly, Thomas held that collections should be understood as more than an agglomeration of material things—they represent complex assemblages of places, times, peoples, atmospheres and economies. In this sense, collections are a repository that is contingent and can be used for the creation of new work, exploring or altering established relations. The ensuing panel discussion centered around three main themes. The first was brought up in Bernd Scherer’s critique of Thomas’ central notion of curiosity. Scherer argued that curiosity presupposes an object to be curious about. A curious attitude would reaffirm the colonial gaze, objectifying materials and peoples for scientific observation and imperial governance. Sven Sappelt commented that while Scherer’s critique holds true, it is not enough if one is to engage in cutting edge curatorial practice. Sappelt explained that he is working with artists who have advocated postcolonial critique for the past decades but are now already moving a step further. In this sense, they are ahead of the average museumgoer who hasn’t heard yet of Said, Spivak and Hall. The exchange between Scherer and Sappelt reflected the difficulty of finding a museum narrative and design that can be educational as much as on the forefront of research. While postcolonial studies has been a hot topic in the academy and the arts for a number of years already, they are only now arriving in museums. Although the desire for academic research and museum display to merge more closely was articulated by Verena Lepper, its practical realization still proofs quite difficult. Second, the political responsibility of museums in face of rising xenophobia in Germany was debated. 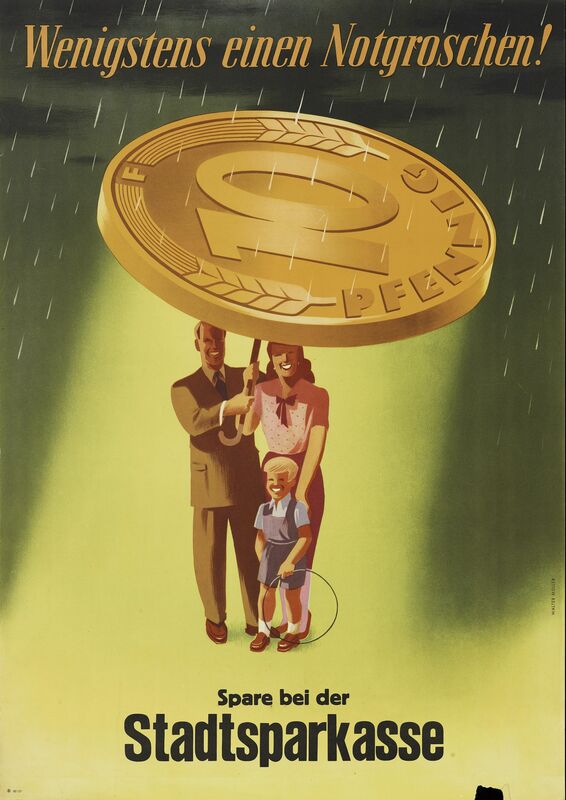 While Scherer held that cultural institutions are not equipped with the language to tackle problems which were prior taken care of by government institutions and will consequently not produce interesting work if they are under the pressure to ‘be political,’ Lepper argued that museums are funded by the government and are thus already shaped by its political directive. 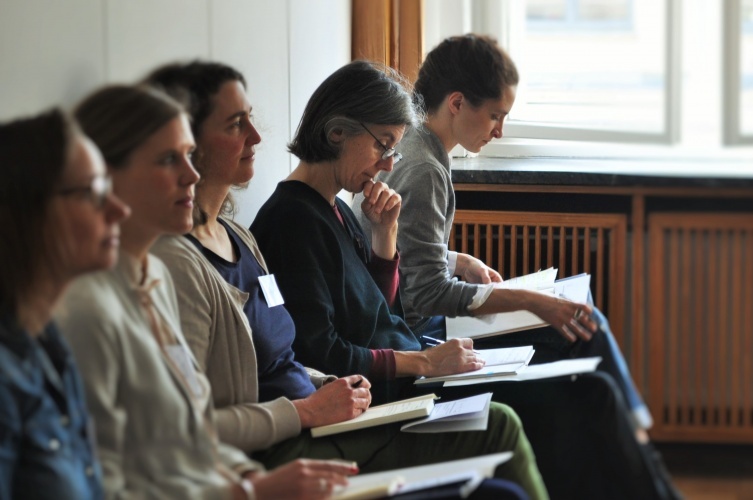 Inka Bertz underscored that it is imperative for museums to differentiate their own mode of action in the European refugee crisis from that of scientists and politicians. Third, Thomas’ central argument that museums are spaces for collective experience and collaboration was questioned by Bertz who argued that one thing which museums are good at is providing solitude for undisturbed individual experience. Therefore Bertz was skeptical in face of the trend to think of museums predominantly as communal spaces. She argued that it remains unclear how the nature of collections and archives and the community approach go together in practice. Given the panelists’ comments, it remains in doubt whether curiosity as an attitude at the core of the revitalization of museums can be understood simply as the spirit of discovery of a child, that is, without judgment, like Thomas suggests. 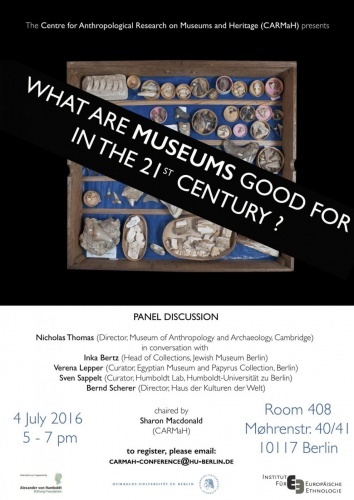 In this light, panelists and audience alike had more questions than answers as to the future of museums. From an anthropological perspective, it is difficult to not ask the obvious: Why not start with ethnographic fieldwork in the locations at stake? From Thomas’ argument about what museums contain one could set out to ask: What do visitors do with museums—how do they handle what is offered? How do people—visitors and employees alike—feel and move, think and talk in the museum? Can we understand a museum without focusing solely on individual experience, for example by mapping its atmosphere? Being curious about how humans and non-humans alike are in museums might reveal unknown and surprising things museum are good at. Anne-Sophie Reichert is a PhD student in the Department of Anthropology at the University of Chicago. Her research lies at the intersection of socio-cultural anthropology and historical epistemology of emotion, cognition and embodiment.